CLOVERDALE, Calif. – Two Washington wines finished atop the largest wine competition in the United States. Barnard Griffin in Richland earned best rosé and Claar Cellars near Pasco won best dessert wine at the 31st annual San Francisco Chronicle Wine Competition, held each year in this community in northern Sonoma County. 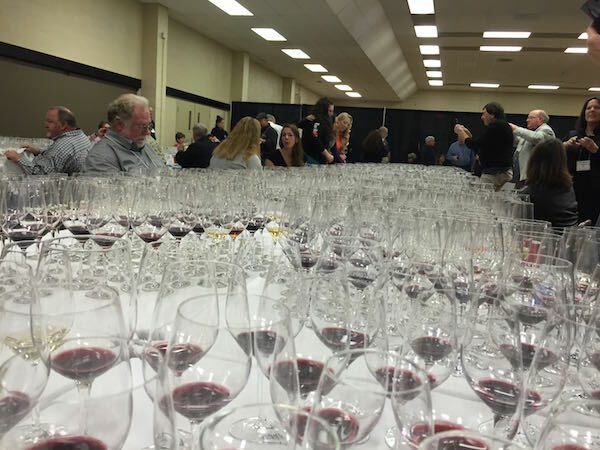 The San Francisco Chronicle Wine Competition drew 7,162, a record for the judging. More than 70 wine professionals spent four days evaluating the wines, culminating in a Friday morning sweepstakes tasting of the 70 top wines. Best red (tie): Runquist 2013 Nostro Vino Vineyard Zinfandel, Amador County, and Sonnet Wine Cellars 2013 Pinot Noir, Santa Lucia Highlands. For Barnard Griffin, success has come easily at the San Francisco Chronicle Wine Competition. This is the 10th time in the past 11 years that owner/winemaker Rob Griffin’s rosé of Sangiovese has earned a gold medal or better. It is at least the third time his rosé has won the top trophy. Barnard Griffin retails the wine for $14, and it will be released around Valentine’s Day. Last year, he pushed production of his 2014 rosé to more than 11,000 cases, yet it sold out by July – faster than it ever has. For this new wine, production topped 15,000 cases. 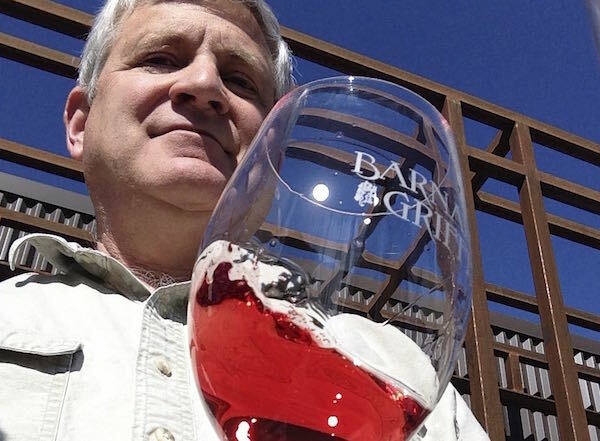 Barnard Griffin uses several vineyards for rosé, led by Balcom and Moe. A couple of judges at the San Francisco Chronicle Wine Competition commented on the wine’s bright color, wondering if it came naturally. That caused Griffin to chuckle. Claar Cellars north of Pasco captured the title as best dessert of the competition for its 2013 White Bluffs Vineyard Riesling Ice Wine. 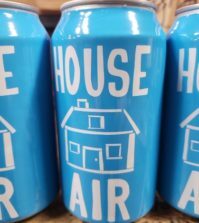 Owner Christa Claar-Whitelatch looked forward to giving winemaker Joe Hudon the good news when he returns from his Christmas holiday to Italy. 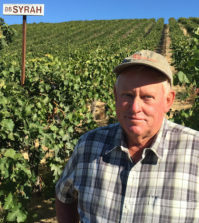 Her parents, Russell and Audrienne Claar, established their farm overlooking the Hanford Reach National Monument along the Columbia River in 1950 and began planting vines until 1983. The family has grown its Salmon Safe and certified sustainable vineyard to 120 acres and launched their estate winery in 1997. Hudon picked for the 2013 ice wine in December after receiving consecutive days of temperatures dipping to 7 degrees Fahrenheit. The frozen berries hit 38 Brix and finished fermenting at 21 percent residual sugar, producing 212 cases of 375-milliliter bottles. 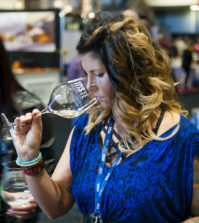 Claar leaves several rows of Riesling for ice wine each year, but the conditions didn’t work out for the 2015 vintage, she said. That’s a pity because the winery founded by her late father has a history of excelling with its ice wine. Their 1997 vintage won at the 2000 German Ministry International Riesling Challenge. Conditions next arrived in 2008, and it subsequently earned a double gold at the 2009 Tri-Cities Wine Festival. Their 2009 vintage merited a double gold at the Cloverdale competition in 2011. This week in Cloverdale, the Claar 2013 ice wine started its road to the sweepstakes by winning best of class among dessert wines with a residual sugar of 3.5 percent and greater. 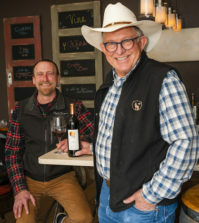 The Claar Wine Group, a 12,000-case portfolio that includes Demri Layne, Le Chateau, Nicola’s Redmark, Chateau Walla Walla, Ridge Crest, Kelso, Appaloosa and Beginner’s Luck has distribution in 28 states as well as China and India. Here are the complete Northwest results from the San Francisco Chronicle Wine Competition. Full results of the entire competition are available at www.winejudging.com.